HOME | Zou-no-hana Terrace 10th Aniversary Special Website. 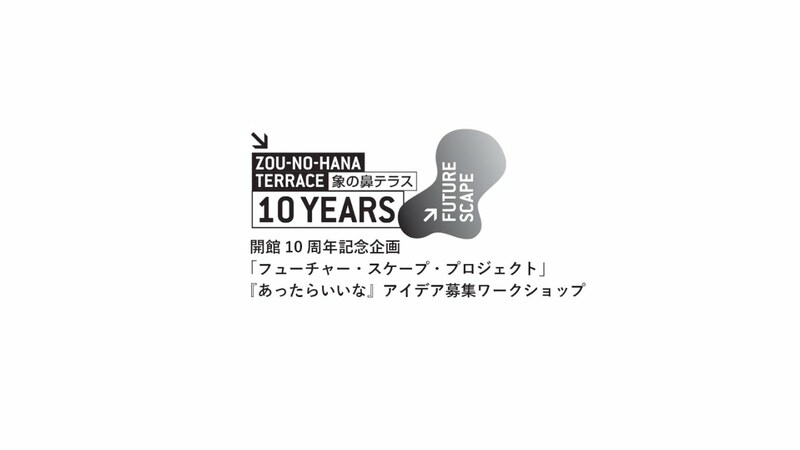 As June 2, 2019, is just around the corner, Zou-no-hana Park/Terrace launched the “Futurescape Project” to commemorate on its 10th anniversary. Imagining the future in the next one, ten, and a hundred years, this art project sets out to collect ideas to make the place more prosperous, and to realize the “landscape of the future” which embody everyone’s dreams. With Zou-no-hana Park as its stage, the project seeks to learn the ideas its participants “wish to do” in a certain time, from 10 seconds to 10 years. Choosing a “certain interval” from 10 seconds, 10 minutes, 1 hour, 1 day, 10 days, to 10 years, the project is a collection of a wide array of programs to make Zou-no-hana Park a relaxing and merry space. The preparations for the exhibition are in progress! We are looking for “people” and “things” to help us realize the ideas. Join us to create Zou-no-hana Park’s future landscape! *At the moment, we expect to hold the “10 Years” program for a maximum of ten days.